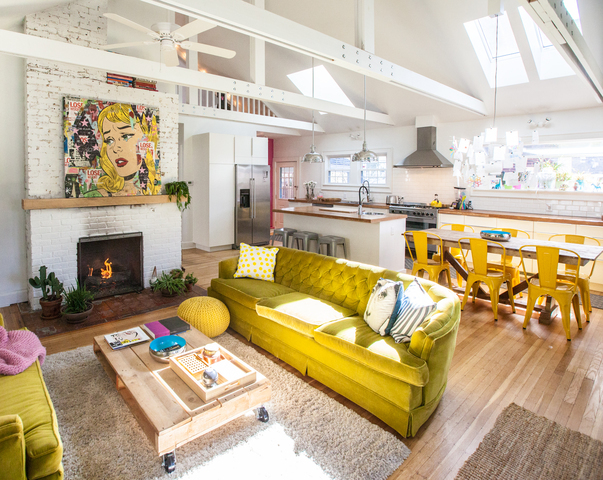 INDIANAPOLIS -- Deborah Jacobs majored with honors in Graphic Arts in Brussels, Belgium, but now finds herself inside a beautifully-designed bungalow in Broad Ripple that mixes art and function. Jacobs started off working for design companies in Brussels and Amsterdam, specializing in Packaging Design. 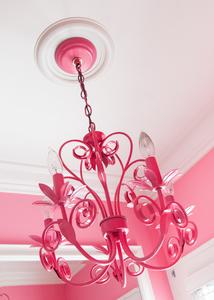 Her interest for interior design quickly transpired though commercial booth design projects and personal side projects. 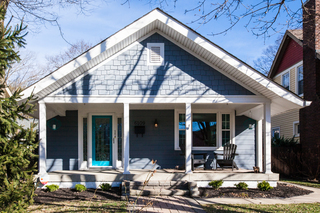 When Jacobs and her husband Alan Leerkamp's personal lives ultimately took them to raise their family here in Indianapolis, she decided to pursue her passion for real estate remodels and interior design, at least during these first years, to establish a new revenue stream through short term Airbnb rentals. We sat down with Jacobs, took a look inside her gorgeous, yet functional, home to ask how she pulled it all off. They picked their home at 6109 Carrollton Avenue for its location with their priority being walkability after living in San Francisco for 16 years, but they also wanted a community to become a part of. They knew the home would probably not correspond to their wants and needs on the inside, but that was going to be their dream project: Making it on their own. They weren’t looking for size and they didn’t want the biggest house on the block. They wanted a flexible layout that could accommodate many out of town visitors and one that would allow them both to work from home, all in a way that wouldn’t make the home so big that they would lose each other in it. 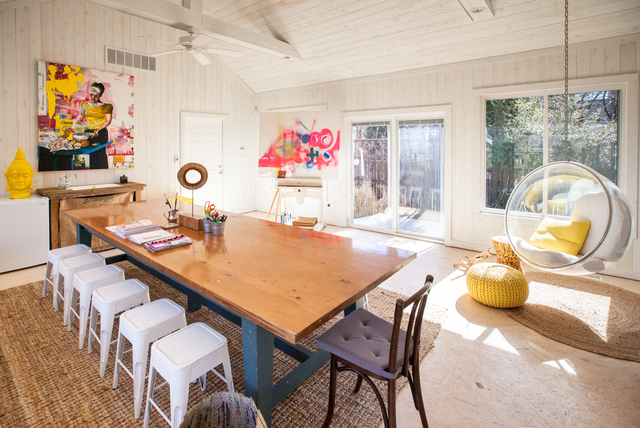 They also added a room connecting the original home to the garage that acts as a “creative space/atelier/art studio". 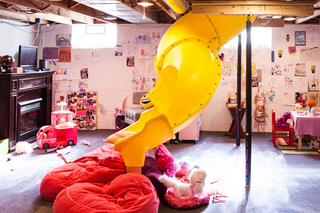 They wanted a home their daughter Sam would enjoy growing up in, one where her friends would enjoy coming to visit in, which led to the slide and tree house for play dates and sleep overs. Architecturally, they knew they were going to have to address the original boxed in layout of the kitchen and living room by opening it up into one common open space for them to gather, cook and entertain. The couple says they are like plants, they can’t live without day light, which is why they took out the ceilings and put in skylights. Aesthetically, their style and goal was to be very simple and minimal, nothing ornate, using raw and recycled materials where possible for a contemporary look with eclectic personal and sentimental touches like Alan’s grandmother’s green couches and Deborah’s mom’s knitted blankets to get cozy by the fire. A large white wall in the living space contrasts the colorful art and furniture, a style Deborah gained from her time working in art galleries. Their favorite element in the home is the exposed white beams and the skylights. It surprises most visitors as they come in because the home looks so “petite” from the exterior and nobody expects the feeling of space once they enter. This spacious feeling is the one that gave them the “Don’t Judge a Book By Its Cover” award presented by the 10th annual Broad Ripple Historic Home Tour. The biggest challenge through this remodel was patience and living through it. But overall, they had a fantastic experience: Deborah sketched the initial floor plan wants and needs and found their dream team in HAUS architects. HAUS put it all into gear while she was operating as a general contractor on the job site and sourced all appliances, fixtures and furniture. Friends often say the home looks just like them. There are a few, but to pick one, it was something they had never done before: Sanding and resurfacing textured plaster and dry walls because the new dry wall was nice and smooth. It was not easy and a very messy job, at least for beginners. They splurged on a few things, but one of them that took them over budget was the hallway skylight that HAUS architects proposed to help with the new proposed floor plan that extended the hallway through the house. Without it, the hallway would have become quite dark. The skylight provides a wonderful and bright flow to the home that they love. Incorporate meaningful elements to your home, to make it your own. Don’t overload. Less is more. They carefully picked a couple of high-end elements from designers like their chandelier, which ended up being featured at the IMA last year. And then they found pieces like the 12-foot table in the creative room, for a $100 at Restore (where they donate all salvaged materials, furniture and appliances throughout the renovations). They made the coffee table out of the transportation palette that was used to deliver their barn doors.